Top Ultimate Fighting Championship (UFC) middleweight contender, Yoel Romero, told the mixed martial arts (MMA) media that former opponent, Paulo Costa, was yanked from their UFC Ft. Lauderdale main event after failing a United States Anti-Doping Agency (USADA) drug test. Then someone wisely told him to walk it back because that’s the kind of accusation that can get a fighter in all sorts of trouble (example here), especially in the wake of the promotion’s new policy on drug-testing disclosure. Not that Costa was rattled by the accusation. Take that, silly surf boi. 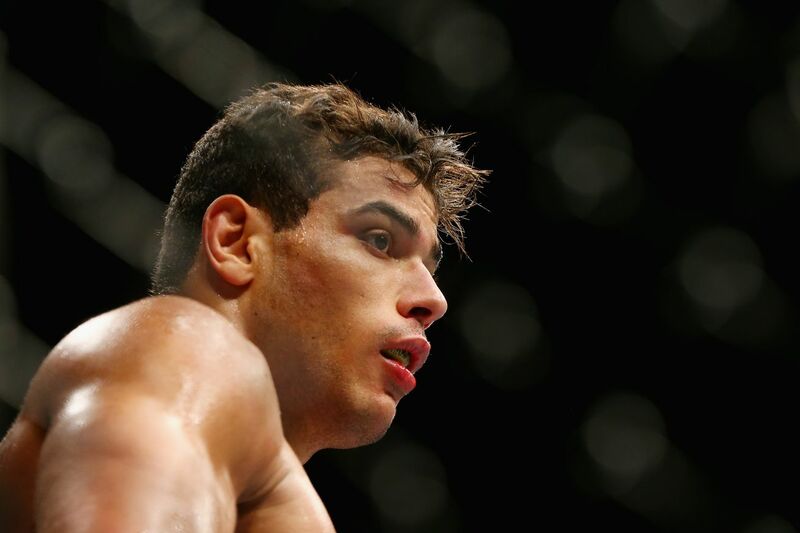 Costa was expected to fight Romero on ESPN on April 27 but was mysteriously yanked from the proposed match up and replaced with Ronaldo Souza, who narrowly lost to “Soldier of God” in their split-decision showdown in late 2015 (recap here). The promotion has yet to make any sort of announcement as to why “The Eraser” is no longer penciled in for “The Sunshine State,” though I would expect those questions to come up at this week’s press conference for the UFC London event. Hey, guess who’s had some questionable drug tests results come back prior to his UFC 235 main event fight against Anthony Smith? If you guessed current light-heavyweight champ and avid party animal Jon Jones… wow. How did you ever guess that? Two Jones drug-test results from earlier this month came back positive for trace amounts of the metabolite for the prohibited steroid oral Turinabol, sources told MMA Fighting. The atypical findings stemmed from samples collected Feb. 14 and Feb. 15. The tests were administered by the Nevada Athletic Commission (NAC) and analyzed at the WADA-accredited SMRTL lab in Salt Lake City. This is the same long-term metabolite — 4-chloro-18-nor-17β-hydroxymethyl,17α-methyl-5α-androst-13-en-3α-ol (M3) (or DHMCT) — that experts believe has been in Jones’ system for at least more than a year. Jones will be cleared to fight by the NAC, because experts believe this is the same long-term metabolite found in Jones’ system in relation to UFC 214 in July 2017 and he was already suspended 15 months by USADA, the UFC’s anti-doping partner, for that violation. Jones, 31, also tested clean with no presence of the M3 metabolite multiple times since he beat Alexander Gustafsson to win back the UFC light heavyweight title at UFC 232 on Dec. 29. The Feb. 14 sample came back with 40 picograms per milliliter of DHCMT and the Feb. 15 sample back with 20 picograms per milliliter. Experts have said the amount of picograms is largely irrelevant. The more significant indicator is that it’s the long-term metabolite and not anything shorter term, experts have said. The post More Shady Drug Test Results From Jon Jones, But This Is the New Normal appeared first on Caged Insider. 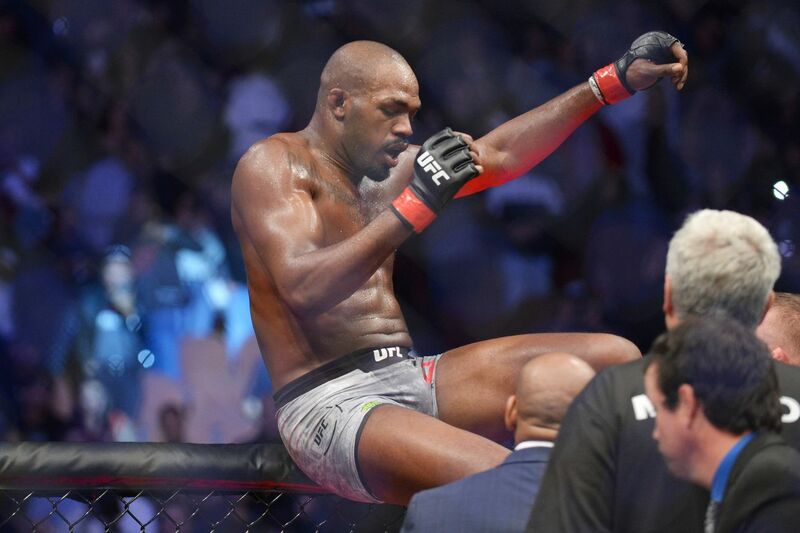 Jon Jones continues to test positive for Turinabol M3 metabolites, and the powers that be continue to accept this as a result of ‘pulsing’, even though there is very little science behind that confidence. He himself says he’s ‘comfortable in this space’, and said he’s been learning of athletes in baseball and another UFC athlete who are in the same scenario he is in. As baseball has had an infamous steroid problem since as long as I can recall, that doesn’t seem particularly comforting. I know that I’m almost a leader in this whole development, and I’m comfortable in this space. I just wish, I wish fans would not just look at the headlines, and actually click on the links and learn what was really going on. While I do share Jon’s desire for fans to actually click on the links and educate themselves- and I’m not quite sure how he could be handling it any differently, frankly- I certainly don’t share his confidence in his own inviolable innocence. He is a leader in this space, though, as no other athletes have been able to get away with multiple positive tests and continue their fight careers almost completely unchecked. He is in a kind of no-man’s land, where we have been told to expect more positive results, so whether or not they occur, Jones is bound to take heat. Nothing he can do or say will clear his name in the eyes of many fans, so in that sense, perhaps he is right to just be comfortable. Jon Jones faces Anthony Smith at UFC 235 this Saturday on Pay-Per-View, the headliner to a stacked event. Smith, like Jones, has opted to be unbothered by the results, saying he believes Jones is a clean athlete. Sort of shocking stat:#UFC235 will be the first time in Jon Jones’s 19-fight UFC career in which he’s faced an opponent younger than he is. Anthony Smith (30.6) is just over one year younger than Jon Jones (31.6). Israel Adesanya as Deadpool works for some reason. Well, that didn’t work out well for him. “That’s not healthy,” he said. Vitor Belfort said he would like to fight Roy Jones Jr. in a boxing match under the ONE banner. Belfort said he would like to see Anderson Silva and Wanderlei Silva sign with ONE to fight them there. He may be a champ, but he’s a total screw up, so for Jon Jones‘ return to action at UFC 232, the UFC had to be cool with trace amounts of steroids in his system. They also had to find a commission that was cool with that, so the entire event was moved from Las Vegas to California the week of the show. Jones’ opponent on that night, Alexander Gustafsson, was seemingly cool with it, too. But with the news that Jones STILL has those drugs in him, that whole thing is wearing thin on Gustafsson and his team. “The inconclusive and inconsistent results that are repeatedly occurring with Jon Jones, at the very least, should compel our industry to have a greater, deeper, and more impartial discussion about the legitimacy of Jon’s defense. Jon has gone out publicly boasting when some of his results come back negative. However, he remains silent when his test results come back positive. You can not have it both ways and cherry-pick the results that are favorable for you, and insist that we disregard the results that go against your interests. In case you didn’t go to law school, allow me to explain this “strict liability” thing. When it comes to determining negligence, you try to iron out how much fault a person should bear for whatever action they’re accused of. But when the term strict liability comes into play, then it’s just a question of “Did it happen? Well, then homeboy is liable.” In other words, if there’s any steroids in Jon Jones, he’s guilty of doing steroids. End of story. My mind still sees this steroid thing as a strict liability issue. I guess I’m old school. The post Alexander Gustafsson’s Team Isn’t Cool With Jon Jones Getting a Free Drug Pass appeared first on Caged Insider.